Guide for How to take Loan From Mudra Bank, Benefits of Mudra Bank and everything About Mudra Bank. Prime Minister Narendra Modi Launched Mudra Bank, to provide Loan up to Rs.10 lakh to small business (small and medium scale entrepreneurs). With this Mudra Bank, Almost 5.75 crore Small Business units will get loan up to Rs.10 lakh. Update :- On 27th March, 2017, More than 23,611 people are given Mudra Loan by 56 banks in Handloom sector in 19 states of India. Textiles minister Smriti Z Irani has tweeted today and informed us. Update :- On March, 2016 3,11,54,560 people has got loan Sanctioned under Mudra Bank Yojana for business. Amount Sanctioned Rs.122081.78 Crore and Amount Disbursed Rs. 115915.16 Crore. Pradhan Mantri Micro Units Development and Refinance Agency Ltd (MUDRA) Yojana (Full form of Mudra Bank), bank with a corpus of Rs 20,000 crore to extend credit of up to Rs 10 lakh to small businesses and 'Micro-Finance Institutions' (MFIs). With concept of "Funding the Unfunded," Mudra Bank will provide Loan in 3 categories. - Providing Low cost funding for MFI (micro finance institutes). Priority for SC/STs in Lending. - It will increase liquidity and Access for funds for Small scale business. - By combining their integrity with capital (MUDRA), it would become the key to their success – पूंजी सफलता की कुंजी. - Uniformity in regulations and best practices for the SHG Bank linkage programme, NBFC-MFIs, and trusts/societies/not for profit NBFCs/Section 25 companies engaging in MFI activities as MUDRA Bank would be the sole regulator for all players in the MFI sector. How to apply for Loan from Mudra bank? 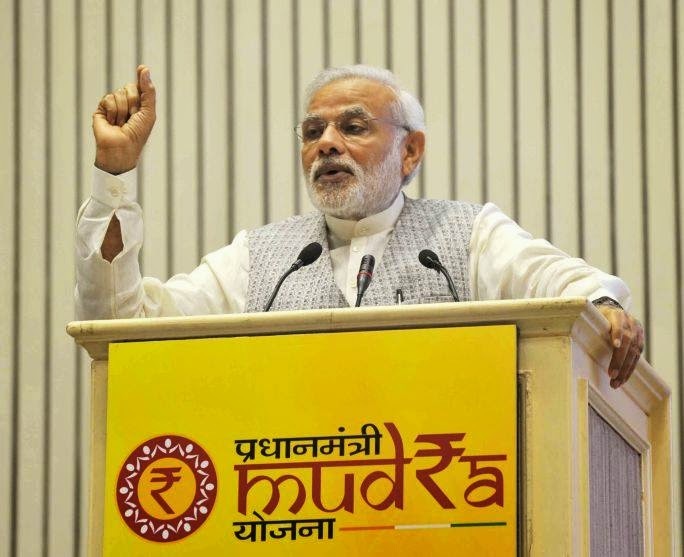 Mudra Bank is new financial scheme of Government of India, it is called Pradhan Mantri Micro Units Development and Refinance Agency Ltd (MUDRA) Yojana. 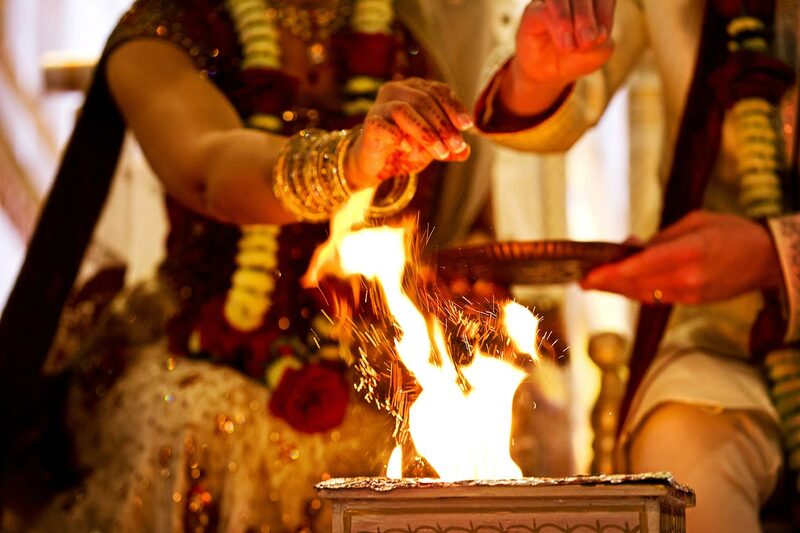 - To take loan from Mudra Bank, you need to first give proposal Business Plan. 22 Small Business Idea with low investment. - On which category your business lies in? Mudra Bank Provides loan in 3 categories, Shishu/Kishor/Tarun. - Shishu (child Category), if you have just started small business then you will get loan cover up to Rs.50,000/-. - Kishor Category, if you have set your business then you will get Rs 50,000 to Rs 5 lakh of loan cover from Mudra bank. - Tarun Category, if you have good established business, need more fund to raise business, then you will get loan cover up to Rs.10 lakh. - After You prepare your business plan and you select your business categories (as mentioned above), you have to contact your nearest Public or Private bank where you can apply for Business loan under PRADHAN MANTRI MUDRA YOJANA. Note :- As some users got confused, mudra bank is not a separate bank (like SBI or BOB) it is government's finance scheme to provide business loan to new small business in india. To get business loan under Mudra Yojana, you have to contact your nearest public/private bank. After your loan has been sanctioned from Mudra Yojana, you will get MUDRA CARD, a card like credit card which you can use to buy your business raw material etc. Mudra Card's Limit will be 10% of your business loan (subject to Rs.10000 maximum). To apply for Loan from Mudra Bank Please follow the below link where you will get all information about how to apply, eligibility criteria, who can get loan, what documents need to be presented to get loan from Mudra Bank, All questions are answered on below link. Click on this link to check Eligibility Criteria of Mudra Bank :- http://www.mudra.org.in/eligibility-criteria.pdf. Contact Person (state wise) Model Officer :- http://www.mudra.org.in/Nodal-Officers-MUDRA.pdf . Visit the official link to get all information like Objectives, Vision, FAQs related to Mudra Bank are answered on official website in detail. Finalize your business plan and decide how much funds you will require, give proper presentation to Mudra bank and funds. Update :- Corporation Bank has launched MUDRA Card (in association with Government of India) which is based on Rupay Debit Card. The MUDRA card facilitates withdrawal and use of the working capital finance by micro entrepreneurs. Update :- Do check out how Mudra Bank helping Indian Economy, how mudra bank boosting indian business world, here. Have a Happy Business :). Last Updated on :-27th March, 2017. Investing in share market is always the best thing to do, its called smart investment (after mutual funds). People who just want more than 8% of fixed deposit return are always invest in share market, buy stocks, or invest in mutual funds. So, if you are new and want to get start with share market, here is list of Top 10 Best stocks to buy in 2016. The new year is about to start, so its better to do financial planning as soon as possible, earn some more money with smart investment option. These list of best stocks are collected from major Broking firms. 1.Infosys :- Broking firms are expecting infosys's share will go up by 27% in next one year. In last year, infosys has given 20% of return in 2014-15. In 2015-16 will go up as the company is looking to do some good business under CEO Vishal Sikka who has launched new policy of Zero Bench, Zero Distance. 2. State Bank of India (SBI) :- Though SBI didn't grow much in last one year, but has good potential to grow at 47% in next one year. Even, SBI has showed good signs of stabilization in assets price. The target price of SBI Share is Rs.350 in next one year while the CMP is Rs.238 per share. 3. HCL Tech :- The technology company who do business abroad mostly are looking to achieve good profit despite the dollar and rupee price fight.HCL's CMP is Rs.880 per share still they are looking to achieve at Rs.1132 of target by end of 2016. HCL has given 16% of return in last one year. 4. Axis Bank :- Axis bank is getting good business in india. They are all set to expand branches in india to strengthen the branch network.Axis Bank's CMP is Rs.473 per share and has target to achieve Rs.630 by end of 2016 from Rs.424 in 2013. 5. Ashok Leyland :- India's 2nd highest heavy commercial vehicles company, who shares 28% market shares has given 107% of return in last one year. In next year they have target to achieve 20% of growth. The CMP is Rs.Rs.92.15 and target is Rs.111 by end of 2016. 6. Tata Motors :- Tata motors listed in major looser of 2014-15 as they declined almost 21% in last one year. But looking at the past records, 20% of decline is always "Buy" call. Tata motors to expect recovery by 4th quarter in 2016. The CMP of Tata motor is Rs.405.06 and target price is Rs.518. 7. J K Laxmi Cement :- JK Laxmi cement is 5th largest cement comapny in north india which has 7% of market shares.Though, J K laxmi cement didn't show good growth in last one year but still brokers are confident enough that JK laxmi cement will give nearly 23% of return in next year with target price of Rs.450. 8. Larsen & Toubro :- L&T who is also major looser in 2015 with 12% of price decline has "buy" call. This large cap share is good to hold for long time,expected to give 20% return in next one year with target price of Rs.1646. 9. Amara Raja Batteries :- Amara Raja is a high quality stock to play the auto sector revival. One the best automotive comapny who's looking to expand in next one year will have good return (~17%) with target price of Rs.1040. 10. HDFC Bank :- One of the biggest and major share in banking sector and biggest private bank in india, HDFC bank who given 21% of growth in last one year has good target price of Rs.1200, eyeing on 11% growth in next one year. These are the Top 10 Best stocks to buy in 2016, if you want to study more about stocks, keep following us for more updates and share market tips. Update (24th August, 2016) :-Recent trend says that Share market (BSE/NSE) may show good growth before diwali 2016. if you are thinking to start treading you can start now and get benefit of market which is about to get boost. The reason given by the market pandits is GST Bill clearance. Since GST finance bill has been cleared from parliment and almost all states, and good rain in india this year will boost the GDP. Even international ratings has pointed this out. if you are interested in investing in Mutual funds than do check our list of Best Mutual Funds to Invest in 2016. Also our exclusive list of Small Business Starts with an Investment. Looking for Investing in Gold via Gold Coin? Gold is one of the best and evergreen investment options in india. Because of high rate and high demand, Gold rates in india never came down, and the reason many people still prefer Gold as best option. But investing in Gold coin is much better than gold jewellery. With great returns comes with great risk. It is also necessary to buy pure gold with gold coins, here is we are listing options to buy gold coins and signs to check purity of gold. How to Buy Gold Coins Online? To buy gold coins online, unlike earlier, now it is easy process. All you need is you pan card while buying the gold coins. Here we are providing you powerful source where you can find the best gold coin at reasonable rates. State bank of india has special dedicated page where you buy new gold coins at reasonable rate. 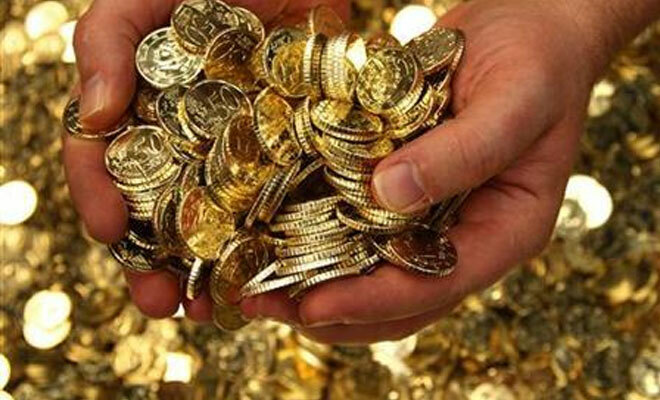 Gold coins are available in 2 Gram, 4 Gram, 5 Gram, 8 Gram, 10 Gram, 20 grams and 50 gram price. On this portal, you get the latest price of gold coins. You need to book gold coin online and need to collect it from SBI Branch. Please note that these rates are Excluding VAT, Any other local taxes as applicable. Big eCommerce websites like Amazon.in, flipkart.com or snapdeal also selling gold coins online. You can check the gold coin rates on the respected websites. Other than these portals, you can also buy gold coins from the big jewellery websites like TBZ or any other. If you don’t get satisfied product from above 2 options, you can buy gold coins from the local market in retail or wholesale, where you can get the gold at reasonable price and low cost. But the only issue with local market is purity of gold. So, to check the purity of gold, you need to check the below mentioned signs to check purity of gold, before buying the gold coins or gold from local market. - Check for Hallmarks: - Like we have ISI hallmark on the big products which need to be passed from quality test, Gold Jewellery or gold coins need to pass the BIS (Bureau of Indian Standards) . Please note that these hall marks are not hallmarked by Jewellers himself. BIS is independent body that check purity of gold before you buy it. - Year of Making: - You can also check for making year of gold where you can show something like A for 2000, N for 2011 year wise. - Jeweler Identification Mark: - Many big brand jewelers like TBZ have their own mark, which they put it on each jewellery. Do check for it. These are the safety check marks of checking purity of gold and how to buy Gold Coins online. If you don’t find any of these and still want to invest in Gold, go for Gold ETF option, its safe and best. PMKVYofficial.org - Guide for How to Apply for Pradhan Mantri Kaushal Vikas Yojana. You must have heard about the Pradhan Mantri Kaushal Vikas Yojana (PMKVY) which is new government program to train unskilled youth for special task. Under Skill India program, government of india has launched the Pradhan Mantri Kaushal Vikas Yojana where around 10 crore youth will be trained and Rs.1500cr for this project. Below is eligibility criteria, how to apply and other information related to Kushal Vikas Yojana. How to apply for Pradhan Mantri Kaushal Vikas Yojana? Certification process will be followed as per the guidelines of Pradhan Mantri Kaushal Vikas Yojana. As per the official notification, Government of india has given Rs.1500cr for PMKVY Flagship program. Another Rs. 67 cr will be spent on the mentor ship for the trainees to get employed. Address :- Block A, Clarion Collection, Shaheed Jeet Singh Marg, New Delhi - 110016. These are enough ways to contact them. Most of the answers are answered on call only. For more updates on the government programs, keep visiting 15august.in. IncomeTaxIndia.gov.in - Here are most common types of Income Tax Notice you may receive and ways to answer them. 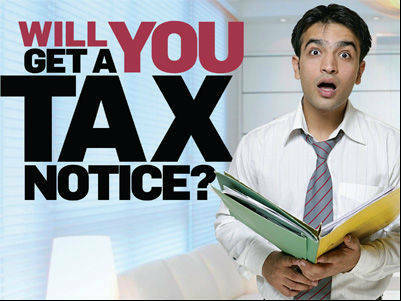 Most of person start panicking as they receive Income Tax Notice. So, here we are guiding you what type of income tax notice you may receive, purpose of income tax notice and how to answer notice of income tax department. IT notice with Section 131 (1A) has been sent to person from IT dept after Assessing Officer (AO) suspects any concealing of income. If AO officer thinks that you have black money (secret money) or you about hide any income, they may sent you section 131 (1A) notice to you and they may start investigation in this matter. There is no time limit to answer this notice. Anyways, if IT department found any black money in your account, they may proceed with investigation, Anyhow. You may receive section 142 (1) notice if you haven't submitted your income tax return form within time limit. If your Assessing officer found that you are late in submitting ITR form, or you have not submitted any important documents, or you have not submitted due account statement for your income, you may receive section 142 (1) income tax notice. You may receive this notice after assessment year end, your time limit to reply will be mentioned in notice. In fact, its not notice, its just a information letter about missing things in your ITR. Don't panic, answer it easily. - Informing :- If you have paid right amount of tax and your amount matches with AO's calculation, you may receive intimation notice. - Demand :- In case you have paid less amount tax than AO's calculation, you may get demand notice to pay more tax or you can explain about your tax calculation. If AO satisfy with your answer, you may not be assessed. - Refund :- You can get income tax refund if you have paid more tax than actual income. You need to answer with in one year of the time you receive section 143 (1) IT notice. This is just follow up notice of section 142 (1) notice. if your Assessing Officer (AO) is not satisfied your section 142 (1) notice reply, he/she may sought more documents via section 143 (2) notice. you need to answer this notice with in 6 months of start of financial year. If your Assessing Officer (AO) founds that you have escaped some amount of income which is not reflecting in your ITR form. AO may demand more information on this. If your income tax amount is less than 1 lac, you have time to answer them in 4 years while if your income tax is more than 1 lac, you need to answer section 148 in 6 months of time. Its a demand notice to pay penalty or fine for late payment of income tax. Tax payer has paid less or late payment are served notice under section 156. Most of the tax payer who comes under this notice may receive notice with in 30 days. In case you demand tax refund from income tax department for current assessment year and there is some amount due in your account for previous assessment year and Assessing Officer (AO) just adjust the amounts of two assessment year. You may get adjustment of income tax via section 245 notice. you don't need to reply to this notice, in case you found you have no due left and IT dept wrongly adjusted amount, you can contact IT dept anytime soon. These are the most common notice tax payers receive, and we have explained their purpose and how to answer them. if you have any more question, you can ask us in below comment box. Thank you.